Two billion families around the world live in poverty. Surviving on less than US$3.20 a day, they struggle to afford even the most basic of items such as food, shelter or medicine when they’re sick. With a small loan, you can give families a hand up out of poverty, helping them build their own businesses and earn the regular incomes they need to provide for their children. Plus, because 98% of loans are repaid and recycled, your donation will help more and more families over time. 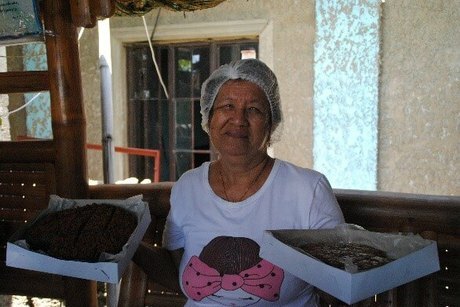 In Munoz, the Philippines, Maria struggled to provide for her children before a small loan from Opportunity helped her buy an oven to bake sweets to sell at the local market. With her growing income, Maria was able to send her children to school and provide them with daily necessities. Her success is even having a ripple effect in her community—providing jobs for young people from the local area and empowering other women to build their own businesses, too. • Families break the cycle of poverty for good. Please, will you help families break the cycle of poverty with a hand up, not a hand out? • 613,000 families in the Philippines. With an average family size of five, that’s over 25 million people breaking the cycle of poverty with small loans thanks to the support of people like you.